At the end of the road to the border of the unique monastic state of Mount Athos there is the picturesque village of Ouranoupoli. Approximately a hundred houses huddling around a Byzantine tower, on the north finger of the Halkidiki peninsula in Northern Greece. The gateway to Mount Athos, the port of passage for pilgrims and scholars alike who visit this unique monastic republic. 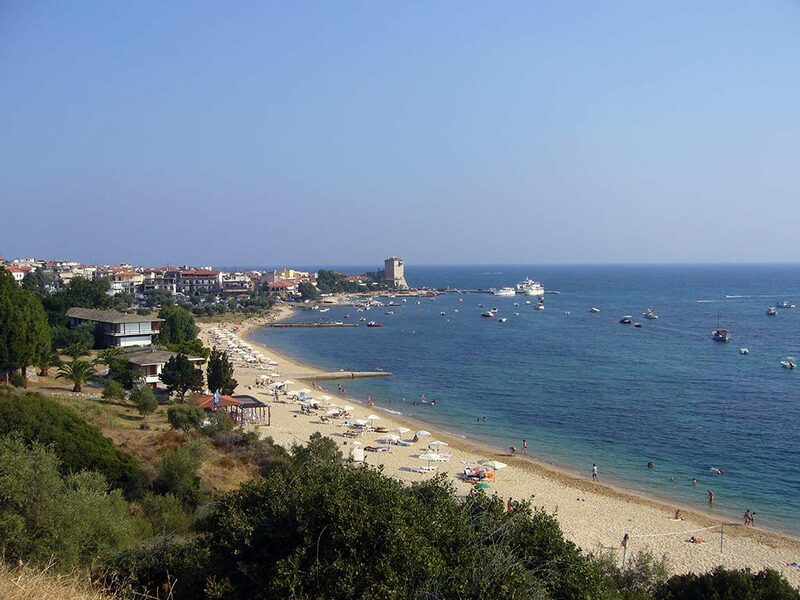 The small village blessed with a mild climate, a clear blue sea and endless golden beaches. From Ouranoupoli starts a unique cruise around to Mount Athos.